President Richard Nixon was an Angels fan and Gene's guest at many of the California Angels baseball games. 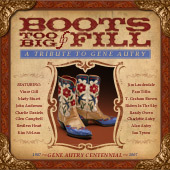 "Gene Autry's Cowboy Code" related merchandise can be purchased from the Autry Museum Store. Click on each item for details. 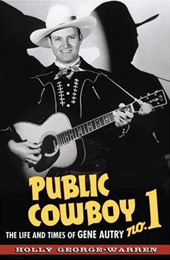 Author Holly George-Warren offers the first serious biography of Gene Autry, one of the true early giants of American popular culture, in a fascinating narrative that traces Autry's climb from small-town farm boy to multimillionaire. One of the greatest of cowboy songs since "The Last Round-Up" and "South of the Border" launches Gene Autry on his most stirring adventure! Riders in the Sky finds investigator Gene Autry helping a gal clear her father's name who is accused of murdering a gambler. For details on the film and DVD bonus material, read more here. Alan Autry recites the cowboy code.